When Microsoft introduced the Surface tablet that ran Windows RT in 2012, they set themselves up for failure. The company introduced a tablet to compete with Apple’s iPad. It’s lowest price was $500 with the Touch Cover. The main problem was that the Surface felt like a (sorry to use this term, but it’s the best way to describe it) crippled Windows machine. It was the latest in a series of bad moves for Microsoft, but the company would recover soon enough. Microsoft would soon face criticism with the release of the Surface Pro, the higher-end version of the Surface that ran a full version of Windows. However, after improving the Surface Pro, admitting it’s more of a PC than a tablet, and finding major success, Microsoft is going back to compete with the iPad. According to The Verge, Microsoft has been working on a $400 tablet, and it just passed the FCC this week. There aren’t many details about the product, but there is a lot of speculation. According to CNET, sources say that the new Surface tablet would run on Intel Pentium chips, and it could have a 10-inch screen. Other sources, such as Windows Latest, have the new tablet running either Intel Kaby Lake or Gemini Lake processors. Many sources agree that the tablet will still run a full version of Windows 10. Microsoft is allegedly working on a new range of accessories, such as cheaper keyboard, cheaper Type Cover, and mouse. 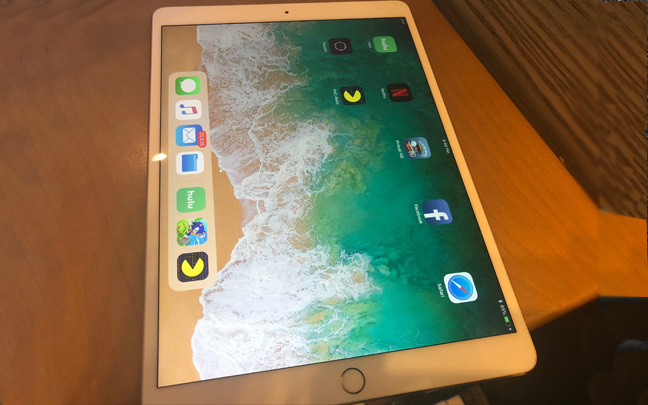 The iPad Pro will soon face some heavy competition. Microsoft’s new tablet could really be Apple’s nightmare, and the main reason is that it will be priced the same as an iPad Pro, but it could really be a tablet that replaces your computer (at least for some people). While the iPad Pro has been advertised as a device that can replace your PC, it’s definitely not the case since it doesn’t run a desktop OS. You can’t run a desktop version of Photoshop. And you can’t run the desktop version of Microsoft Office either. The one potential problem is that Microsoft’s upcoming $400 tablet, if used as a PC, won’t work as well as a PC. Just because something runs Windows 10 doesn’t mean it does it well. For example, using Photoshop on a low-powered device will be painful. And don’t even try to run video editing programs. But if you use the new Surface tablet for office work and entertainment, the money you save from buying a full-fledged Surface Pro may be worth it. This entry was posted in Tech News and tagged Apple, iPad Pro, Microsoft, Microsoft Surface, Surface Pro, Tablet. Bookmark the permalink.